The VFX Oscar race is a battle between redefining the space epic with in-camera effects and the baddest CG super villain from Marvel. The Oscar race for Best Visual Effects shapes up as a showdown between “First Man” and “Avengers: Infinity War” — reshaping in-camera VFX for NASA’s trip to the moon versus Marvel’s brilliant CG Thanos (with the shortlist of 10 finalists announced December 17). Thanks to Thanos, “Infinity War” has become a serious contender and could bring Marvel its first VFX Oscar. He’s performed with great intensity and inner turmoil by Josh Brolin and brilliantly animated by Digital Domain and Weta Digital. The level of photo-real performance capture definitely raises the bar for a humanoid. 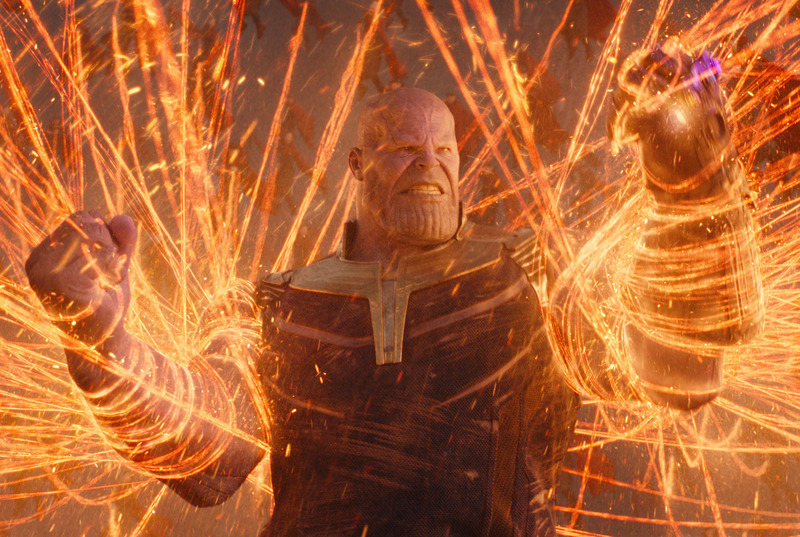 DD created Thanos from an initial proof of concept and handled everything except for the third-act Titan sequence, which was done in parallel by Weta. The success of both Thanos characters was a direct result of conveying every nuance of Brolin’s onset performance at Pinewood Studios in Atlanta. 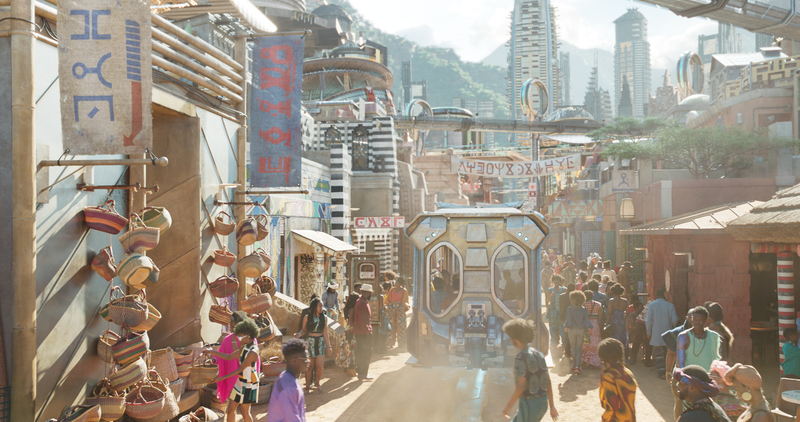 The VFX highlight of “Black Panther” was bringing Wakanda to life (created by Industrial Light & Magic and overseen by production VFX supervisor Geoffrey Baumann). They started with production designer Hannah Beachler’s 500-page bible and translated that into the urban design of the whole city. ILM modeled cityscapes for districts associated with four of the five tribes (River, Merchant, Mining, and Border), as well as exterior and interior shots of the palace. The most attention to detail by ILM was given to Steptown, the hipster cultural center and the epitome of Afrofuturism. It’s dry and dusty and yet urban with lush elements around it. There are dirt streets but 1,000-foot high rise buildings, but materials and building structure go all the way back to traditional African aesthetics. 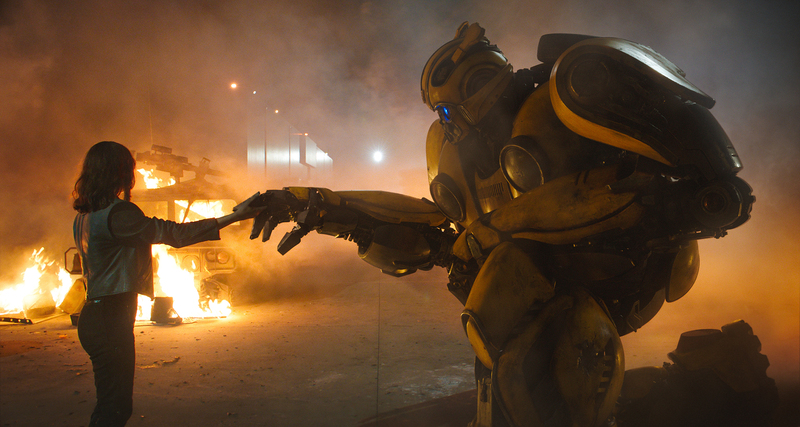 In the “Bumblebee” origin movie (marking the live-action directorial debut of Laika’s Travis Knight), ILM was required to make the Autobot as emotive as possible for the 1987 coming of age story starring Hailee Steinfeld. As a result, there’s a lot more human/Transformer interaction, with Bee looking as photo-real as possible. Crucially, ILM went back to the G1 look, and the main challenge was turning the simplified toys into realistic-looking characters and finding ways to use new tech to achieve the vintage effect. They also introduce the “triple changers,” Transformers that turn from bots to ground craft to aircraft. In the “Fantastic Beasts” sequel, Framestore brings the 1920’s Wizarding World to life with 40 creatures, including the giant, lion-like Zouwu and Irish phoenix, the Augurey. Additionally, nearly 100 locations were scanned and texture photographed and combined with 2nd unit plate photography and production designer Stuart Craig’s sets to create Hogwarts, London, New York, and Paris. Damien Chazelle set out to redefine shooting in-camera for “First Man,” dramatizing NASA’s Apollo program starring Ryan Gosling as astronaut Neil Armstrong. As a result, DNEG (Oscar winner for “Blade Runner 2049”) used a diverse mixture of visual effects, special effects, archival footage, and scaled models to help create the 1960’s documentary style film. 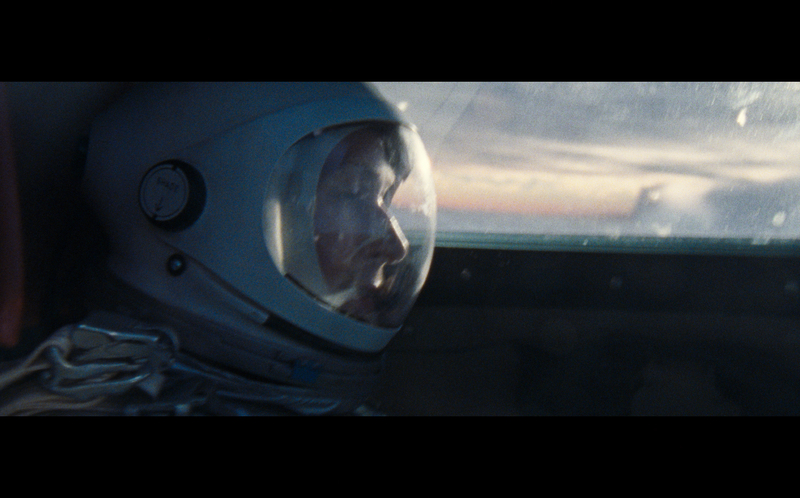 Chazelle’s space epic benefited from 90 minutes of rendered footage on a 360-degree spherical LED screen while shooting in-camera with full-scale practical crafts (for the standout X-15, Gemini 8, and Apollo 11 sequences). DNEG also recreated in CG Apollo launch footage shot by NASA. In “Fallen Kingdom,” director J. A. Bayona (“A Monster Calls”) channeled classic horror in collaboration with ILM, especially during the final battle in a Gothic mansion between Blue, the heroic Velociraptor, and the new weaponized monster hybrid, the Indoraptor. While the most important elements for the Indoraptor came from animal references (dinos, cats, dogs), they also looked at “Nosferatu” for the the claws, Also, the design of the arms were very long. That made it creepy and almost human. For Rob Marshall’s Depression-era “Mary Poppins Returns,” starring Emily Blunt as the beloved nanny and Lin-Manuel Miranda as Jack, the likable lamplighter, Framestore was instrumental in creating, among other fantastical environments, the supporting VFX for the choreography of the musical numbers, including the making of the CG music hall stage and forest (integrated with hand-drawn animated characters from L.A.-based Duncan Studio). “Mission: Impossible — Fallout” featured the most dangerous and thrilling stunts of Tom Cruise’s career, which DNEG accomplished in stealth-like fashion. This included the HALO jump (four different action takes stitched together to appear as a oner) and the more complex helicopter chase/crash. For this sequence, the bulk of the work was already done by Cruise actually flying a real helicopter through enclosed canyons and along cliff-edged runs. The trickiest part was matching a six-camera array of clean plates shot from a helicopter on location, providing hours of moving footage that could be panned around and added to the action. 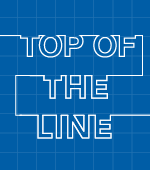 For the post-apocalyptic actioner, “Mortal Engines,” (directed by Weta artist Christian Rivers and produced by Peter Jackson), Weta delivered mechanized city chases, airship battles, a full-CG villain, Shrike (Stephen Lang), and an alternate future earth. Weta built a new hierarchical layout puppet system that bridged the gap between its urban detail tools and traditionally light vehicle assets, treating London like a vehicle. Shrike, meanwhile, benefited from keyframe animation to create shifts in emotion to accentuate his machine-driven locomotion. For ILM, realizing the virtual reality of The OASIS from Steven Spielberg’s “Ready Player One” became an eerie trip down memory lane. But while it was difficult building the diverse virtual worlds and animating the avatars so they believably resembled their real-world counterparts, the geekiest part was reconstructing the interior of The Overlook Hotel from Stanley Kubrick’s horror fave, “The Shining.” This animation was spot-on. However, the mix-and-match digital trickery also involved shooting real actors as doubles, such as the Grady twins and the lady in the bathroom, who becomes a CG zombie. Recreating the gushing blood from the elevator was difficult, too. ILM’s sim team had to make it look exactly like “The Shining” blood in a tricky collaboration between effects and animation. Robert Zemeckis returns to performance-captured animation with “Welcome to Marwen,” inspired by the true story of Mark Hogancamp (Steve Carell), an illustrator who, after surviving a violent attack, heals himself through his artistic imagination. Atomic Fiction/Method Studios and Framestore deliver facial performances that blend doll and human traits, while evoking the look of Hogancamp’s photography. “Actors’ faces are their instruments, just like a violin is to a musician, and we needed to feel every bit of their fidelity through the dolls,” Zemeckis said.